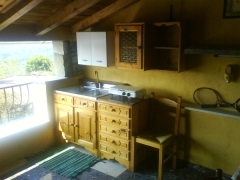 Charming fully reconstructed stone house in the pretty village of Sovinjak. 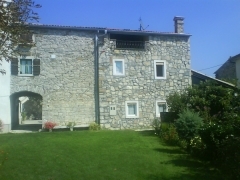 We are very pleased to offer this absolutely charming fully reconstructed stone house in the pretty village of Sovinjak. 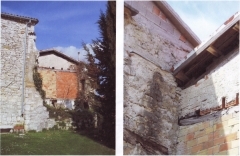 The vendor completely rebuilt a total ruin to the highest standards for his own use, but because of family circumstances it is now on the market. 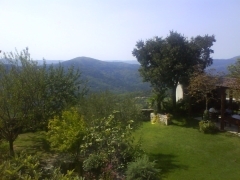 It is right next door to a good restaurant and has amazing views from the covered roof terrace. There is a large granite covered terrace with a barbeque and double garage beneath and the ground floor has a black marble floor as does the covered roof terrace.The living room has a traditional stone fireplace for cosy winter evenings. 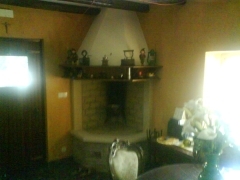 There is a wood burning stove as well.More photos and floorplans are available. 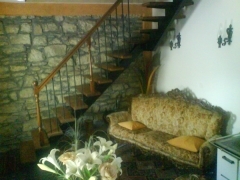 The house is full of antique furniture which could be purchased seperately. The town of Buzet is 10mins away and offers a comprehensive range of modern supermarkets, banks, etc. The Austro-Hungarian city of Opatija is half an hour away.Trieste, with year round Ryanair flights, is just over an hour away. 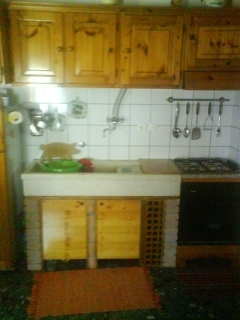 Siamo fieri di potervi offrire questa completamente rinovata bellissima casa di pietra situata in un piccolo villagio Sovinjak.Il proprietario l ha ricostruita completamente con un massimo livello di qualita e con materiali di prima qualita. 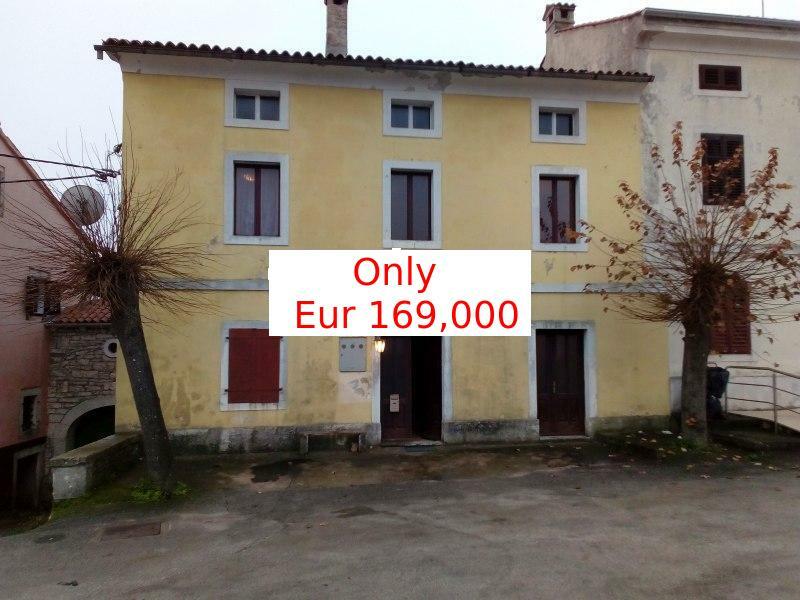 La casa e arredata con mobili antichi ,che si possono vendere separatamente. Buzet e a soli 10 min di distanza,Abazzia e a soli 30 min.Trieste,dove Ryanair vola tutto l'anno e a solo 1 ora di distanza. Nudimo Vam ovu nadasve sarmantnu,renoviranu kamenu kućicu,koja se nalazi u pitoresknom selu Sovinjak.Vlasnik,u namjeri da ju zadrzi za sebe,obnovio ju je do najviseg standarda koristeći se kvalitetnim materijalima,no zbog obiteljskih okolnosti ona se nalazi u ponudi.Nalazi se pored odličnog restorana,terasa je natkrivena granitom,ima prekrasan pogled,2 garaze,dnevni boravak ima kamin koji pruza ugođaj u zimskim trenutcima. U kući se nalazi antikni namjestaj koji se moze prodati zasebno. Buzet,grad u kojem se nalaze trgovine,restorani je samo 10 min udaljen,Opatija 30 min.Trst,gdje Ryanair leti cijelu godinu,udaljen je samo sat vremena. 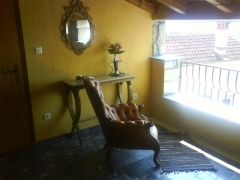 Part of the rooftop Terrace - a book, a glass of local wine, a view - heaven! Another view of the rooftop Terrace - no need to go downstairs to prepare a snack or salad. This was what it looked like before being rebuilt! 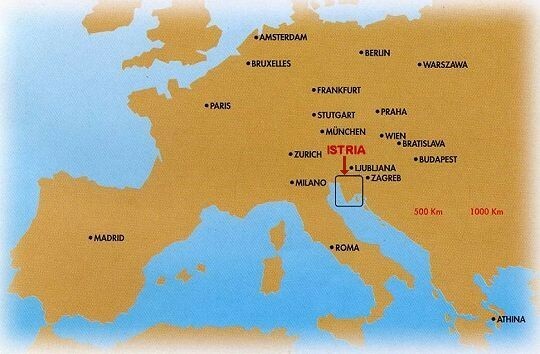 Istria - the easiest part of Croatia to get to.